Over-the-counter or consumer skin care products are easy to find and may have served a purpose up to a certain point in your life. However, as our skin changes over the years, higher-end, medical-grade skin care products are recommended for those seeking to improve their skin at home. A Woman Plastic Surgeon in Metairie, LA is proud to offer some of the aesthetic industry’s most effective and powerful products to help you attain radiant skin and enjoy a healthy complexion. During a thorough skin consultation, Dr. Mizgala or one of our experienced skin aestheticians will discuss your goals and concerns. Through this assessment process, a customized treatment plan will be created that suggests the right products for your specific skin type and needs. During this time, it will be explained in detail how each product works, when to use, what it is used for, and answer any questions you may have. Our goal is to set you up on a step-by-step process so you can do it at home. Each of these lines is all extensively researched formulas for addressing common skin issues, such as dryness, acne, oily skin, poor texture, pigmentation, and other signs of aging. 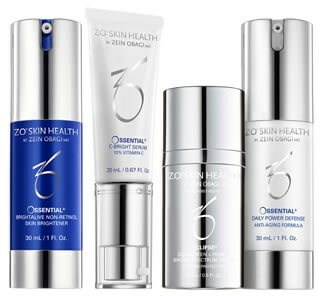 Each brand carries specific formulas that help strengthen, detoxify, and exfoliate your skin while offering its own unique set of benefits. Our staff can help direct you to the correct product that will be the best for your skin type and concerns. Taking action with a consistent at-home skin regimen to nourish and care for your skin is an important step in having a healthy, youthful complexion. In addition, Dr. Mizgala offers patients other ways to enhance their appearance at home with Latisse – an advanced eyelash enhancement/growth formula, as well as Tan Towels, which allow you to keep that sun-kissed skin year-round safely and effectively. Why get your skin care products from a store when you can get them customized for your special needs? At our Metairie, LA practice, we love designing beauty regimens for our patients to produce the best possible results. Please call us to come in for a one-on-one consultation.